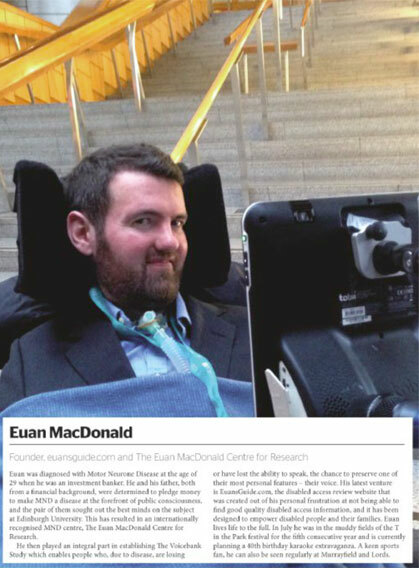 Euan is in the Power 100! This week the Power 100 was launched. This is a list of the most influential people in Britain with a disability or impairment. We are thrilled to see that our very own Euan MacDonald, the founder of Euan’s Guide, made the list along with many other celebrities. Professor Hawking is joined by Baroness Jane Campbell, Ellie Simmonds and Baroness Tanni Grey Thompson in the top ten. You can find a full copy of the list at www.edition.pagesuite-professional.co.uk.